Bark’s Chief Customer Officer, Ross Paterson, recently co-hosted a webinar with Chris McKenna, founder of Protect Young Eyes. They talked about some of the digital trends they’re seeing that put kids at risk, as well as some ways that schools can help to protect them from the worst of the online world. Watch the whole webinar to hear what they have to say about how communities can work together to help kids grow into responsible digital citizens. 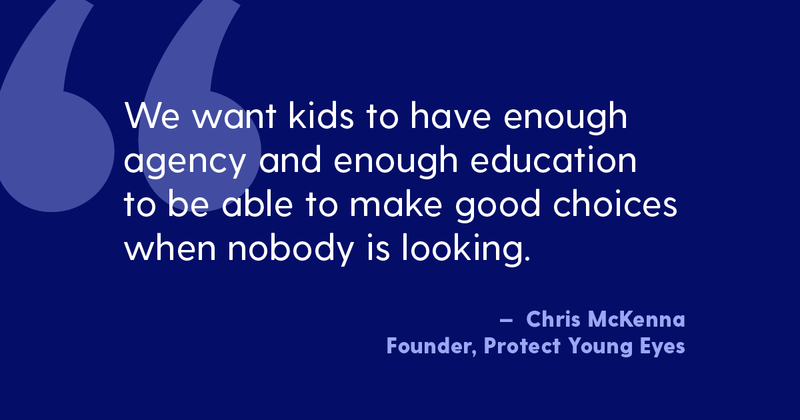 Protect Young Eyes was founded by Chris McKenna to equip and encourage parents, school leaders, and students to use technology responsibly. “We’re really focused on making sure that [kids] get the right message at the right time,” McKenna says. To do this, Protect Young Eyes works to build strong community partnerships so that everyone works together to create age-appropriate technology experiences for their kids. Protect Young Eyes also publishes a free, bi-weekly technology newsletter, in addition to other resources, so that caring adults can stay current on the latest digital trends. McKenna gives hundreds of talks annually at conferences, schools, churches, and non-profits around the country. Bark and Protect Young Eyes share the perspective that, although the internet will occasionally present kids with inappropriate content, we want them to be able to spend time online. But because of those dangers, it’s important to teach kids how to be responsible digital citizens. That way they’ll know what to do when they encounter unhealthy content. One trend that took parents and schools by surprise was the prolific misuse of Google Docs, which has become the preferred messaging platform for many students. At a glance, it’s mostly harmless. But cyberbullies have been using it to create digital “burn books” to target other students. “We monitor Google Docs around the clock,” says Paterson, “and we’ve had around 60,000 cases of kids ganging up on each other [within] co-shared documents, within comments, and things like that.” He also described a recent instance where Bark alerted a school to a fully-encoded suicide note, and that child was able to get help. “We’re constantly going to be surprised at the ingeniousness that kids will have in discovering other ways to get around the controls that maybe we thought were fool-proof,” McKenna says. But that doesn’t mean Google Docs should be prohibited. Instead, it’s another opportunity to have a dialogue with kids about responsible technology use. It’s also important for schools to host technology nights to help parents keep up with the changing digital landscape. Bark and Protect Young Eyes both offer a range of resources for bringing parents and schools together for student safety. It’s also a good idea to establish expectations by creating technology contracts with kids — one for home and one for school — and to update it at least once a year. If a school doesn’t already have a set of protocols in place for managing these kinds of issues, the administration should make it a priority. That way, everyone from principals to counselors to school resource officers will know what to do in an emergency. Bark for Schools was developed in the wake of the tragic shooting at Parkland, Florida, as a way to give back to school communities. 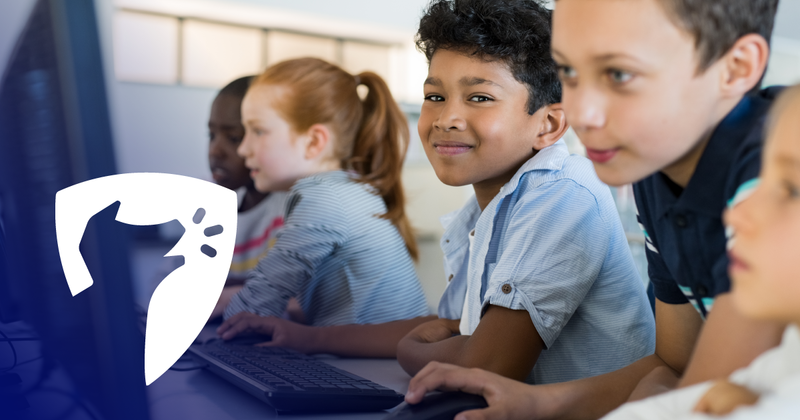 With the technology for helping to keep kids safe on their devices already in place in our product for families, we decided to extend our service to all K-12 public and private schools in the U.S. — at no cost to them. One year later, Bark for Schools had become the trusted partner of 1,000+ school districts — with more than 80 joining every month. Schools can learn more about monitoring school-issued accounts with Bark for Schools, and parents can sign up to monitor their children’s personal accounts with Bark for Families.